It Comes In Pints? | Ladies who blog about beer. I lay still inside a horse shed in a Belgian field and listened to the apocalyptic gale outside. It was Wednesday morning and we had 20 miles to ride from Westvleteren, where we’d stopped to try The Best Beer in the World, to Roeselare, home of Rodenbach beer. We were confident that the day’s ride would be hastened by a tailwind: the asbestos that had come loose from the shack in the night scuttled right in the wind; right is always east if you’re standing up; and we were cycling due east. After a leisurely breakfast at the Westvleteren bar (Donkerstraat 13;+32 57 40 03 77) we cycled ten minutes into a grinding headwind that no one could have forseen, and that was to dog us for the entire ride, before giving up at a deeply weird but endearing bar in Groen Erf, where locals tried to divert us to a cheese museum. Caffeinated, we made it at least six minutes more before being lured, Odysseus-like, into a local bike shop where, dogged by numbness in my right hand since Dover I bought a pair of handlebar extensions and insisted on fitting them on the roadside. We entered Roeselare through its admittedly depressing suburbs, in my case about a foot closer to the ground thanks to my oddly rotating handlebars, to discover that Rodenbach Brewery (Spanjestraat 133; +32 51 24 28 36) was closed for a corporate event. Rodenbach offers tours of its brewery for those better prepared than I; email info@rodenbach.be in advance to arrange. Luckily the unassuming Cafe Krottegem (Koornstraat 80, Roeselare), two minutes away, turned out to be the bar of choice for the brewers themselves, who were so touched that we’d cycled from London to try their beer that they bought us glass after glass of fresh Rodenbach. My dad always told me that Rodenbach is the best beer in the world. A Flanders Red Ale, it is quite breathtakingly sour, and tastes like all the cherries in the world have been pulverized into it. But that’s an illusion: the beer’s distinctive fruitiness comes from its distinctive, mixed fermentation, which includes the souring bacteria that result from oak-aging. It’s also blended: the Original mixes ¾ old with ¼ young beer; the Grand Cru has over half old beer; and the Vintage is unblended. At a recent tasting session at the Kings Arms in Bethnal Green, east London, Rodenbach’s brewmaster, Rudi Ghequire, described it as the missing link between wine and beer, which sums it up nicely. We stayed the night in De Bonte Os Hotel & Tower (Sint-Hubrechtsstraat 14, 8800 Roeselare; +32 51 24 02 15; about £51 for a double), a cyclist-friendly hotel opposite the train station. The current owner, who built the tower, is so proud of it that he has installed both a panoramic elevator and a large neon sign that flashes: Hotel – AND TOWER! This is enormously useful when you stagger home after spending a night sampling the local hooch, as we did at Petrouska, a snug brasserie on the fringe of Roselare’s market square where the beer menu is longer than the food menu. The Kasteel Donker, pictured above being thieved by Miranda, was a particular favourite (Stationsplein 4, 8800 Roeselare; +32 51 20 25 95). Like hungover Rapunzels we stared down at Roselare from our tower-top room the following morning and tried to pick out the route we’d take to Bruges, about 22 miles. Once it split off from the busy N37 the ride was glorious, dancing around spacious forests on the run into Oostkamp. We were at our campsite – Camping Memling (Veltemweg 109, 8310 Brugge; +32 50 35 58 45; about £20 for a pitch per night) – by 3pm, our rattled bones across Bruges’ cobbled streets and beneath its famous belfry by five. Which, conveniently, is the point in the afternoon when The Trappist (Kuipersstraat 33; +32 475 45 50 66), a central cellar bar that specialises in craft and local beer, opens. Its lovely staff, simultaneously delighted that we had cycled there and horrified, on realising how much we intended to drink, that we might cycle anywhere else, turned me on to Straffe Hendrick, an intensely rich Belgian quad rolling with flavours of oak, berry and chocolate (11 per cent). We bumped back through Bruges to Lidl and picked up some bottles to drink while we cooked gnocchi on our beer can stove, which turned out to actually just be some small potatoes that we doggedly cooked for 30 minutes (all our meths) in the hopes that they would transform into gnocchi, then mashed up with tomato puree (“It’s like an Italian hash!”) before passing out to the gentle hooting of owls in the surrounding forest. It was over lunch at a Greek restaurant in Holland that we realised we had just two days to cover the miles to Dunkirk that had taken us a week riding east. We’d biked to Sluis, on the border, on our day off. With our baggage left behind in the tent we flew across the strange and misty plains around Bruges – all wild but punctuated by perfectly ordered trees – then hugged the wide canal through pretty Damme to the third country on our tour. We had time for one last, great night – in, unoriginally, The Trappist again – before hunkering down for the longest ride of the holiday: 50 straight miles along the coast to the Bray Dunes, a few miles outside Dunkirk. And what a day it was. We set a ferocious pace along the quiet canal that wound northbound from Bruges to the coast, hanging onto the drafts of the scores of roadbike racers, then lunched at a brasserie in Oostend that, like much of that grand, aging seaside town, felt like a location for an Agatha Christie novel. Dodging pedestrians, we followed miles of promenade to France, where Google Maps’ route petered out amid the sand dunes as the sun set. Our campsite turned out to be a trailer park; abandoned except for detuned radios crackling static from behind locked doors like something out of Silent Hill. I hesitate to recommend the route Google Maps sent us from Dunkirk to the ferry port, in part because it insistently led us across half-built bridges, and because it is so utterly forsaken and remote that you feel quite sure you will never see a ferry again in your life virtually until you ride straight into one. But the bleak chemical plants we wound through had their own strange, Gotham City-like beauty, and, hell, it was better than the motorway. We watched Scotland crush France in the Six Nations as we edged across The Channel; then fought our way back to London amid endless rail replacement buses. It was dark when I arrived home, 250 miles down, bruised and bumped, sleep-deprived, and atop a bicycle that looked like a mangled cross between a tank and a reindeer. Outside in the night the wind and the foxes barked and snow threatened. I’d never considered myself much of an outdoorswoman, but had Miranda not cycled on to Hackney with the tent strapped to her bike, I might very well have zipped up my fleece and joined them. This entry was posted in Uncategorized on 25/03/2016 by icipints. One of my favourite things about the US that I noticed during my all-to-brief trip this month was the wide availability of great, bottled craft beer. Pop-art IPAs and strange, fusion stouts dotted the fridges of supermarkets, off-licenses and gas stations. Historians and PNWesterners will be able to tell me whether this is because the US has been onto craft beer longer, but wandering the booze aisles of Walmart and Costco was (generally) way more rewarding than in most UK supermarkets. I have but one gripe: America, why are your bottles so big??! The range is probably different at specialist shops, but in supermarkets I struggled to find bottles smaller than 750ml in big stores. That’s ideal for an evening-long drink, but given most beers came in at the 6-8% mark, it meant I couldn’t really get through more than one a night. Was I shopping in the wrong places? All the beers reviewed came from major US supermarkets in and around Bellingham in NW Washington. I loved this beer so much I sought out the brewery in Seattle. A lively hop bomb, it pours the golden orange of the Fall leaves. It’s spicy, herbal and orange on the nose, and tastes lush and full-bodied, with grounding citrus and hop oil to dial it back to refreshing. How could you not buy this beer? I loved Sriracha before it was cool, and admittedly this beer does little more than a chilli stout usually does (tastes like stout! But spicy! ), but that’s no bad thing. The real, lingering chilli kick perforates the bitter chocolate of the blackened malt, leaving a sinkable stout that doesn’t taste its 5.7% abv. The metal-punnage! The label! This dark double alt from neighbouring Oregon sits atop a sweet, burned sugar malt. It’s that malt that makes the beer – it’s nutty and sweet, with raisin and a hint of dried cherry. Light enough to stay in the background, but with a robust caramel taste, this beer would go really well with a roast dinner. Like Christmas. Topical beer klaxon! This psychedelic riff on a Tripel is a gorgeous, silky sweet play on the Belgian style, rolling in herbs and ripe fruit. It pours a cloudy orange with a delicate, white head. With plenty of funky depth from the yeast and juicy fruit from the hops, this is a lovely beer to savour – slowly, BECAUSE IT’S A WHOPPING 9 PER CENT. This entry was posted in Uncategorized on 23/12/2015 by icipints. I was lucky enough to contribute tasting notes on Thornbridge’s core range for the current edition of Hop and Barley, a beautiful, coffee-table-worthy mag about beer and brewing. Check out this quarter’s edition here, and read the tasting notes – which H&B have very kindly allowed me to reproduce here – below. As part of our continued celebration of their tenth anniversary, this edition of the tasting notes features a selection from the core Thornbridge range. Spanning the lifetime of the brewery, the six beers reflect both the eclecticism and quality from the past decade. 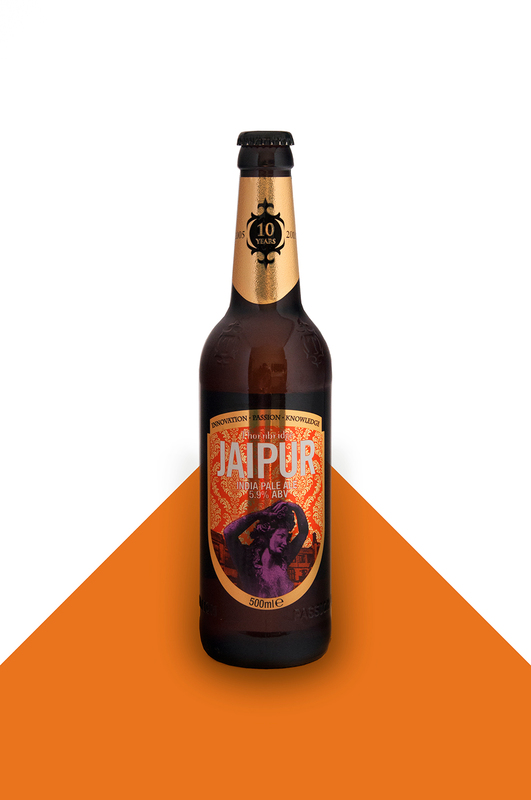 From the Jaipur IPA which has become synonymous with the brewery, to the more recent and highly-admired series of classic continental styles, each demonstrates the breadth of the brewery’s talent. 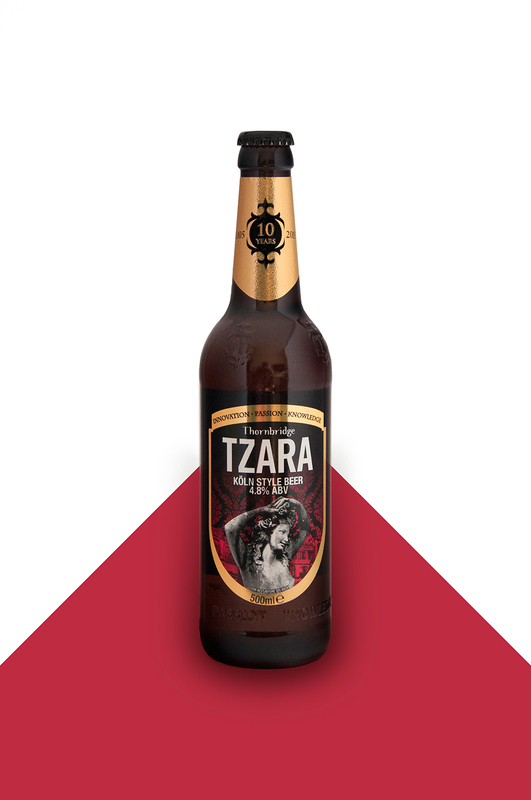 From the outset this beer glows warm, amber red and generous, with a thick and lasting, creamy head. Its American hops really sing on the nose, where tumbling notes of juicy pineapple, nectarine and orange, with some piney resin, just top the underlying caramel, golden-syrup sweetness of the malt. That balance tastes like chunky thick-cut marmalade, tart but sweetly jammy. It’s remarkably full-bodied for a beer just on the dangerous side of session-strength, thanks to the toasty, creamy notes from the malt. The hops win out eventually and leave a pleasant, grapefruit-y hoppy zing, with a touch of burnt caramel. Overall, a great British take on the American classic; a rich session ale that’s complex and fresh enough not to tire of, but not so strong you’ll regret ordering it by the pint. A goth beer by name and nature, this chunky, completely midnight-black beer pours thick and tarry with a thin, off white-head. If the colour makes you recall a stout, the nose quickly disillusions: there’s a little bit of the dark chocolate, coffee and smoky tobacco notes you’d expect, but they’re quietened by the fruity earthiness of the hops. In a similar way, there’s rich black coffee on the palate, but also a subtle fruitiness, even a sweet cream, and some tropical fruits. Overall, it’s a well balanced black IPA – the chocolate malt isn’t sacrificed for the punchy hops, and vice-versa. This carries through in its mouthfeel, which is delicate, and the aftertaste of bitterness and burnt nuts, with a metallic tint at the very end. It’s edging towards strength at 6.6%, so Thornbridge impresses here by pulling off a good balance of hop and roasty malt. 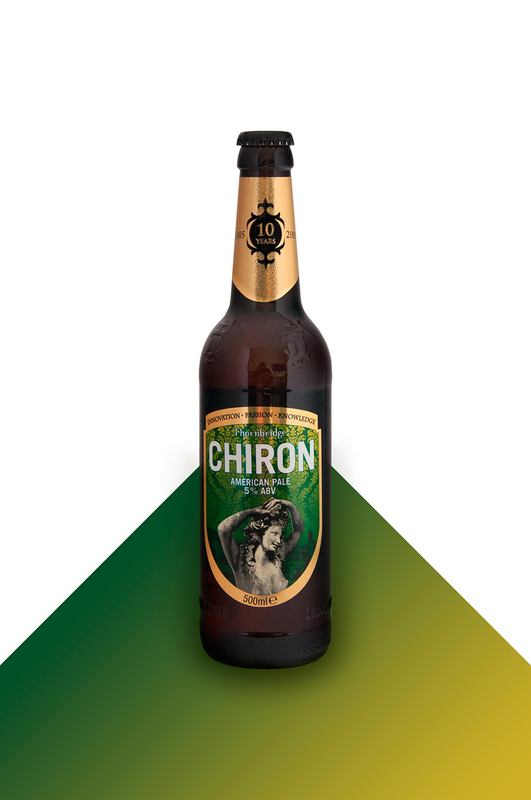 The Derbyshire brewery’s popular foray into the crowded IPA market is a gateway beer; flavourful in a way that’s approachable, but lacking the big alcohol punch and lingering hop oils that would ensnare hardened hop heads. It pours soft, yellow gold, a straw-like hay colour that hints at the grassy herbals you encounter on the nose. Once the light, creamy head has cleared, a fresh, almost coriander, aroma emerges; yes, the standard New World hops are present in sweet citrus, but there’s an underlying, enjoyable savoury note. It tastes fresh and grassy, with lemon verbena and grapefruit, but that mouth-puckering bitterness is somewhat deflated by its decidedly medium mouthfeel and a little too much caramel. There is some lingering pithy zing, but, at a lower ABV, the American Pale actually packs more punch. All in all, a great intro to IPA for someone used to rounder ales. A lovely optical illusion of a beer, Bamberg’s glossy haze and moderate head mean that its artful smokiness catches you completely by surprise. This is an autumnal beer: its colours are the glowing reds, rubies, oranges and ambers of hearths and bonfire embers. Which is appropriate, because on the nose this reveals waves and billows of smoke – courtesy of its 100% beechwood smoked malt. At once complex, Lapsang Souchong, smoky and tea-like, the underlying boozy sweetness nods towards peaty Islay whisky and spicy rum. The smokiness largely dissipates in your mouth to leave a deliciously complex aniseed, with subtle impressions of smoky ham and cheese, and a full-bodied, burnt toffee-ish malt. The rich, harvest festival flavours linger; the legacy of the whisky notes emerge as a long warmth, while the aniseed becomes cloves and the burnt sugar, orangey caramel. It’s almost Christmas-like, a great cold weather beer to enjoy with fireworks and toffee apples. Crystal clear with just a hint of straw gold against strong light, this beer glows like a Chardonnay and pours exactly like a beer that emulates Cologne’s famous top-fermented, lagered beer should. The head – white, ghostly and soft – dissipates quickly. But its subtle appearance belies a powerful nose, which is fruity and grassy without being too perfumed. Those fruit aromas carry through to the palate, where an initial sweetness outlasts fairly heavy carbonation and gives way to pear drops. It’s a little too sweet for the style – Cologne’s best Kölsch is so balanced and subtle that its sweetness dissipates like a crisp, dry white wine, whereas Thornbridge’s offering lingers to a honeyed, mead-y finish, with a touch of hay. But ice cold, this is still a crisp, dry beer that would work beautifully paired with fish or white meat. Gloriously, lazily hazy and honey-coloured, Thornbridge’s Double IPA is a dangerously well-balanced, strong beer. For hop addicts, it might just be too balanced, with the gloriously vivid hops that should shine through an IIPA somewhat watered down – perhaps by the malt. But for everyone else, the ripe, pungent, lychee aroma promises, and delivers, all the citrus kick you could want. It’s woody and fruity on the nose, with hints of wild flowers and an underlying, complicated savouriness. Those fruits overwhelm the palate, but the lushness of the mango, melon and papaya lingers well. There’s some bitter hop oil left on the palate afterwards, but with a lovely astringency that’s citrusy and palate cleansing – dangerously un-cloying and drinkable for a beer that’s lurching cheerfully towards 8%. This entry was posted in Uncategorized on 27/10/2015 by icipints. Oktoberfest. The smell of smokey sausages hangs in the air. People with lederhosen compare altbier and rauchbier. Meanwhile, a few metres away, double decker buses roar up and down Upper Street. 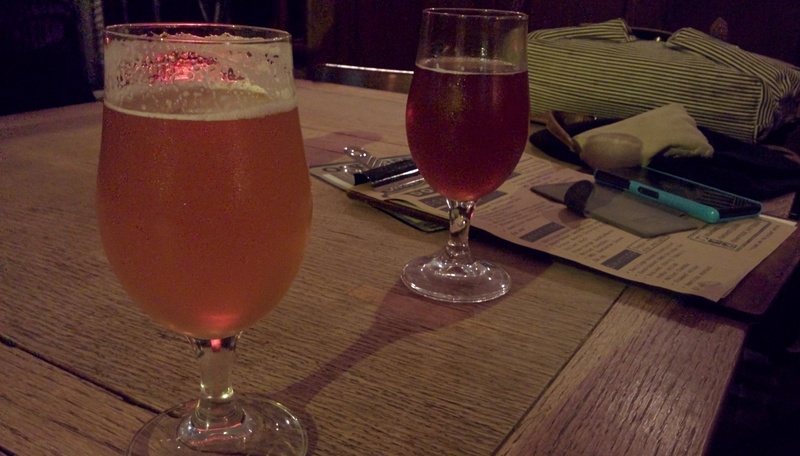 The annual German beer celebration is observed slightly differently in Islington, as we discovered earlier this month at local craft pub The Hop and Berry. Less dancing on tables, more ironic dominoes on table. Here local (well, Bermondsey-based) brewers Anspach and Hobday are launching their six-strong range of German style beers. It’s just in time for Oktoberfest, and good news for anyone disappointed by the sudden closure of London’s official Oktoberfest allegedly due to inadequate staffing. The brewery admits it’s taken some liberties. “We’ve bastardised some of it,” admits Paul Anspach who, true to his Germanic heritage, is wearing lederhosen. “In Germany, Oktoberfest is a family festival. We haven’t got helter skelter,” he points out, accurately. He and Jack (Hobday) tell us they relished the chance to brew the six beers – a rauchbier, a hefeweizen, a Bavarian IPA, an altbier, a Berliner weiss and a golden rachbier. “It’s nice to make the classic styles. It was like going back to the recipe book,” Jack explains. I dove straight in with the 7 per cent golden rauch (it had been a tough week, alright?) It’s savoury and smokey, like a Rauch should be, and lifted by its hazy floral nose. Its cousin, the straight Rauchbier, had the same caramell-y smoke, with rolling coffee notes. On to the Hefeweizen, which is creamy, herbal and deliciously smooth. Cut its vanilla-banana wheat notes by with the Berliner Weiss, a gloriously sour, refreshing fizz with groves of tropical fruit. We finish with the Bavarian IPA, which is hoppy, bitter and very drinkable, and the altbier, which glows an amber red and tastes of smoke and toast. A great autumnal beer, and a great way to dip a toe into the great German tradition. With just a couple of kegs of each left, it’s worth sorting a trip to the Anspach and Hobday brewery tap as soon as possible. Some of the most popular – like the Hefe, Alt and Rauch – might appear again as keg specials. This entry was posted in Beer and culture, Festivals/Events and tagged Beer, beer festival, beer tasting on 12/10/2015 by icipints.